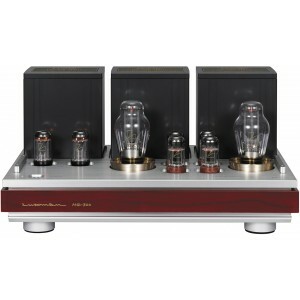 Luxman MQ-300 vacuum tube stereo power amplifier demonstrates 90 years of Luxman experience, intelligence and principles embodied in vacuum tubes. Earn 16499 loyalty points when you order this item. Luxman MQ-300 vacuum tube stereo power amplifier uses thoroughly selected parts and circuits to maximise the performance and tonal quality of the latest direct heated triode – the TA-300B following in the design footsteps of the masterpiece MB-300 released 31 years ago. Since the foundation of the company 90 years ago, Luxman has pursued core principles for sound creation, ‘honest and natural sound quality and feeling the sound field without exaggeration’, ‘feeling the unity of sound with sufficient data for the whole audio band’,‘fatigue free listening enjoyment’, all of which are embodied in the MQ-300. The design of the MQ-300 is a culmination of high performance parts, cutting edge technology and vacuum tube amplifier design ‘know how’ accumulated over many years. 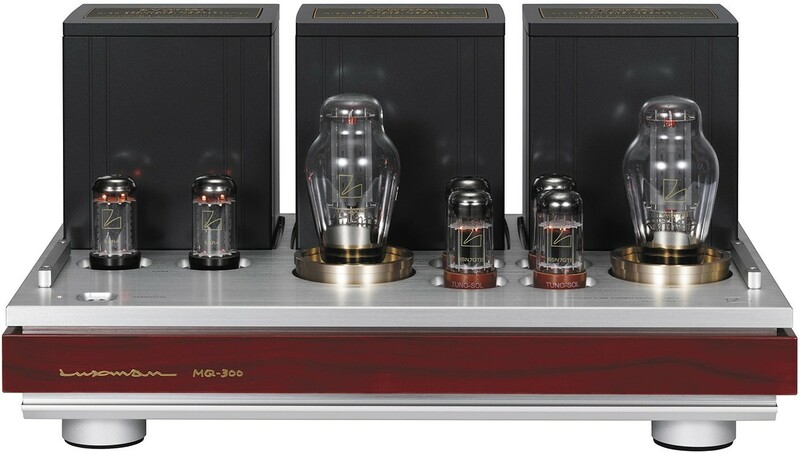 The MQ-300 is based on the cosmetic design and circuit configuration of the MB-300, the renowned masterpiece vacuum tube monaural power amplifier released in 1984. The elements of traditional design and elegant tonal quality that is unique to the performance of the TA-300B, a direct heated triode, have been maximised in the MQ-300. The MQ-300 exudes the quality of classic design from engraved nameplates bearing the company logos inlaid on the top of the metal coated transformer case and the luxurious piano finish natural walnut frame and other exterior parts. The MQ-300 represents the flagship model of vacuum tube amplifiers in which LUXMAN experience and cutting edge expertise come together to create a fitting model to celebrate the 90th anniversary of the foundation of the company. 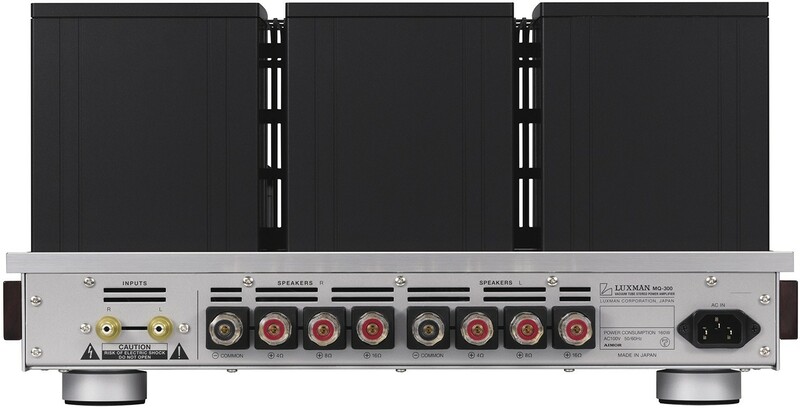 The MQ-300 is a stereo power amplifier with a single configuration 8W + 8W output. The highly reliable TA-300B (manufactured by Takatsuki Electric Industry Co., Ltd) is used as the output tube for the MQ-300 and is the only output tube that is made in Japan. The configuration of the driver section is 6SN7GTB (manufactured by TungSol) two-stage parallel connection and the output section is the direct heated triode TA-300B non-feedback single power stage connection. This results in a natural and attractive tonal quality with rich musicality that is characteristic of the TA-300B. A cathod-bias type is used for the output stage which has less change in characteristics due to heat or voltage fluctuation. The DC-ignition method for heaters that suppresses hum generation is used for the 6SN7GTB and TA-300B ensuring sound quality and durability. The orient cut-core large capacity output transformer with aligned magnetic fields as part of the output section supplies stable energy to the whole audio band even at the maximum power level. The logo nameplates inlaid on the top of the casings and the structure that is reminiscent of the classic OY type transformer produce a design with impact. FINEMET core material featuring low magnetic core loss and low magnetic distortion is used for the choke coil to achieve the expansive and natural sound quality. Complete independence of the right and left of the rectifying tube that includes the secondary winding of the power supply transformer, choke coil and block capacitor achieve high level separate performance. The Sovtek indirectly heated tube, the 5AR4 is selected as the rectifying tube, featuring low internal impedance and excellent regulation resulting in the gentle start-up of the power supply and thereby prolonging the life of the vacuum tube. A highly reliable TUNG-SOL 6SN7GTB that can withstand a high voltage load is used for the voltage amplifier tube. 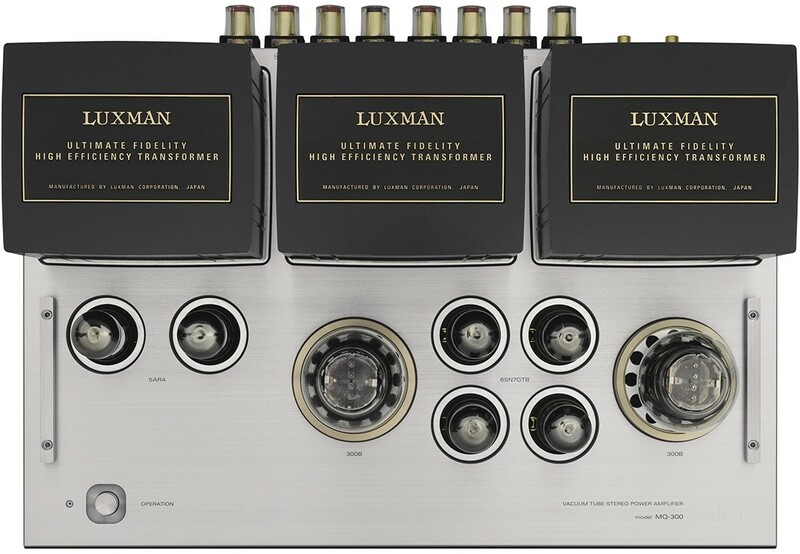 Coupling capacitor and cathode resistance Luxman’s proprietary oil capacitors are used as coupling capacitors for connecting circuits resulting in smooth sound quality. Dale non-inductive metal clad resistors are used for the cathode resistances on the output stage to avoid inductive components that may have a harmful effect on transmission signals. The output tube socket section with decorative rings has a floating support structure made of PORON which has excellent vibration damping and heat resistance to control microphonic noise. For lug terminals for wiring, large-sized steatite parts are used to provide outstanding insulation, heat resistance and durability. The L-550AXII is equipped with a fully-fledged phono amplifier that is compatible with MM/MC cartridges. The front panel features multiple functions such as bass/treble tone control, LR balance adjustment, a pre/power separation switch. A loudness function interlocking with the sound volume is operable by the remote control. For vacuum tubes design where electrons fly about, external vibration and resonance can be great enemies that can interfere with sound signal transmission. The MQ-300 combats this with a high rigidity chassis structure that combines a 1.6mm thick steel chassis, 2mm thick bottom board and a 12mm thick top panel to block such vibrations.